ST. GEORGE –It was a busy afternoon ahead of the holiday for the St. George Communications Center inside the St. George Police Department when St. George News interviewed a number of people who will likely be working through the holidays, willing to meet needs that arise even though it takes them away from their own family gatherings. It’s not just the dispatcher or police officer or EMT who makes adjustments for the holidays, it’s their families too. 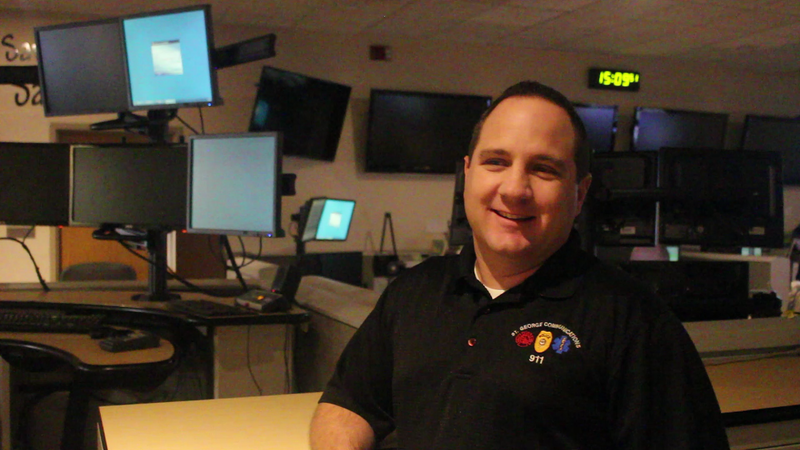 The dispatchers behind Despain answered call after incoming call as he talked with St. George News, sending out police and other responses where needed. “I’m thankful that I’m here to help others,” dispatcher Aleena Davis said. As these first responders and their families adjust, many find they cherish what family time they make for themselves all the more. “When you can’t go home and do things like Thanksgiving and Christmas, the typical day where most people are allowed to spend time with their families … you become a little more appreciative of your own family and the time you spend with them,” St. George Police officer Seth LeFevre said. “They make those days special regardless of what (day) the calendar says it is,” he said of his family. Even if some officers and dispatchers aren’t able to make it home for the holiday, they aren’t forgotten. 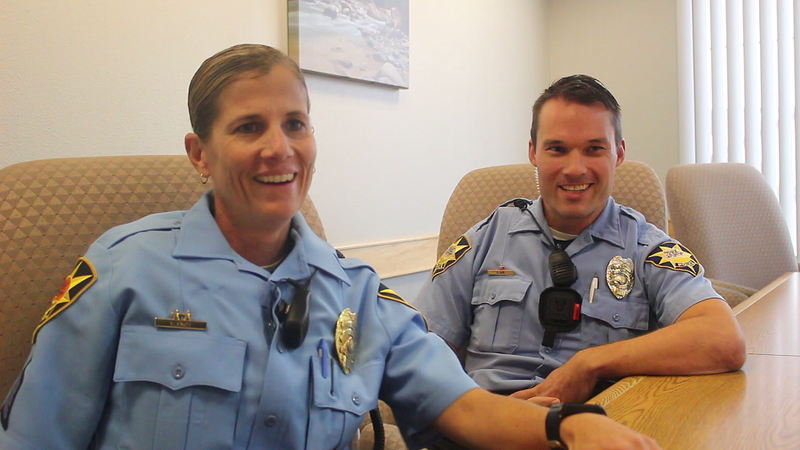 “The St. George Police Department is very family-oriented and we all treat each other like we are family,” Officer Carletta Baer said. Those working over the holiday already have a potluck planned, Baer said of this Thanksgiving. It’s also not uncommon for officers who have the day off to invite police on patrol into their homes to share some Thanksgiving dinner. That isn’t all, though. Often people from the general public will bring food to the Police Department for those on duty over the holidays. “I enjoyed it because I don’t like to cook, so its great,” Sgt. Choli Ence said with a grin, remembering feasts delivered to the police station in years past. One year, she said, someone took meals to the police station from Cafe Rio, a popular restaurant in St. George. Thanksgiving Day can start out a little slow for the police, but as the day wears on it picks up as police respond to calls involving domestic disturbances, intoxication and other incidents. “Sometimes family members spend too much time together,” LaFevre said. During other calls, officers will accompany firefighters on the occasional fire call because an attempt to cook a turkey didn’t go as planned. Read more: Top 11 tips for safe holiday cooking you need to know. Some officers look forward to working on the holiday, St. George Police officer Chad Lee said smiling, his voice trailing off into a whisper saying something about avoiding obligations and family members. Ence looked over in surprise. “You’re not supposed to give away the secrets!” she said. While the conversation with police was genuine though lighthearted, all seriousness left in the room took its leave as Ence, Lee and others started laughing over apparent inside insights. The traditional Thanksgiving question had to be asked, “What are you grateful for?” restoring a modest decorum to the exchange. 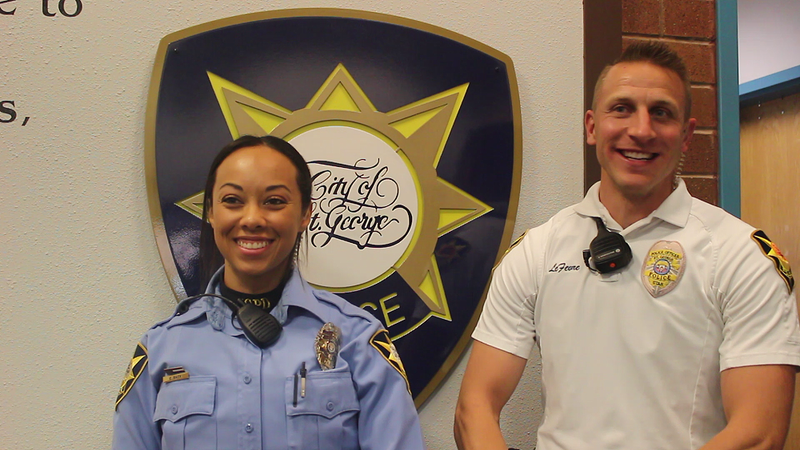 Without pause each of the officers and dispatchers in the meeting with St. George News said they were grateful for the opportunity to serve a community that showed tremendous support in return. Time and time, Lee has spoken with officers from other police departments, Baer said, particular those in northern Utah, and he has found none quite compare to St. George. Happy Thanksgiving and Merry Christmas to each and every one of the hard working, giving citizens of St. George and Washington County.